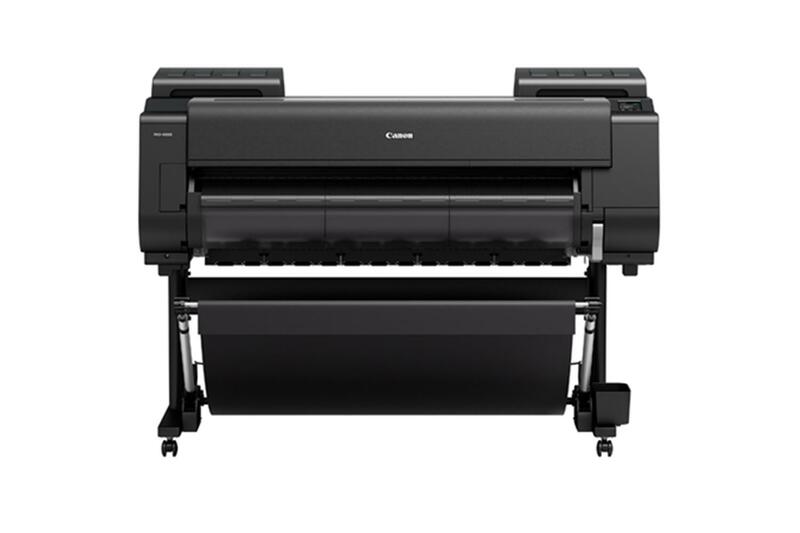 Henrys.com : CANON IPF PRO-4000S PRINTER 44"
Designed for the poster and signage market and exceeds expectations for speed and colour consistency in a large format production printer. vivid posters and advertising displays. This new ink set helps: enhance red colour performance, reduce graininess, enhance dark area reproduction. The PF-10 print head with anti-clogging FINE technology generates fast print speeds and reduces the possibility of clogging. Ink ejection conditions are precisely checked by 27 sensors, and if a clog is detected, another nozzle will automatically provide back-up. To enhance print performance, the 8-colours utilize all 12 ink channels in the print head. The LUCIA PRO ink is arranged in a mirror layout on the print head, symmetrically arranging the most important colours: C, M, Y, and MBK. This layout allows for the same ejection order of the four key colours during the bidirectional printing process resulting in denser ink placement and faster prints speeds.